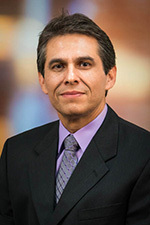 Dr. Delgado is a professor of pathology at the University of Utah School of Medicine. He received his MD from Universidad Industrial de Santander in Colombia and his MS degree in epidemiology from the Harvard School of Public Health, completing both his clinical residency training in clinical pathology and his research fellowship in immunology at the Harvard Medical School. He is board certified in clinical pathology and histocompatibility laboratory testing by the American Board of Pathology and the American Board of Histocompatibility and Immunogenetics. Dr. Delgado’s research interests include immunogenicity to monoclonal antibody therapeutics and transplantation immunology. 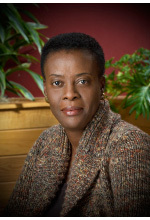 Dr. Hill is a professor of pathology, pediatrics, and internal medicine at the University of Utah School of Medicine. He received his MD from the Baylor College of Medicine and completed a clinical residency and work in immunology at the University of Washington in Seattle. 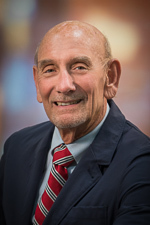 He has published more than 275 peer-reviewed articles and 163 review articles (438) and has been included on the Best Doctors in America list since 1993. His research lab, which was funded by NIH for 40 years, is investigating the role of cytokines in inflammation and disease, as well as the molecular causes of primary immune deficiencies. He sees mostly adult patients with primary immune deficiencies and is the medical director of the Cellular and Innate Immunology Laboratory. Dr. Peterson is an assistant professor of pathology at the University of Utah School of Medicine. 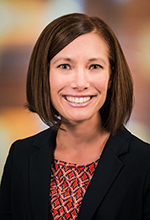 She received her PhD in experimental pathology from the University of Utah and completed a postdoctoral fellowship in the Department of Immunology at National Jewish Health and the University of Colorado School of Medicine in Denver. Dr. Peterson continued her training with a clinical immunology fellowship at the University of Utah. Her research interests include cellular immunology and autoimmune immunology, with a focus on autoimmune neurology. Dr. Peterson is a member of the Association of Medical Laboratory Immunologists, the Clinical Immunology Society, the American Association for Clinical Chemistry, and the American Society for Microbiology.